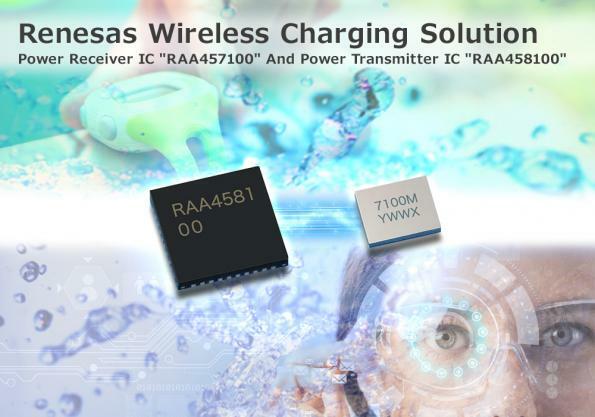 Renesas has made a power receiver integrated circuit and a power transmitter IC made for low-power applications such as hearing aids and other wearables. They have combined wireless charging with microcontrollers to keep all key system components in one small space. This reduces its footprint letting the manufacturers make their products smaller. The transmitter of Renesas integrates bridge circuit overcurrent protection. Along with this, a two-line external overheating protection function comes along to avoid problems that might occur with wireless charging. The chip is made to control the charging of a lithium secondary battery. A 12-bit A/D converter is also added to monitor the battery voltage and current while charging. There is also an on-chip DC/DC converter with an 85% efficiency rating which gives 1mA extended operation on the battery of the device.